The event, held Dec. 15-16, 2018, at Cascata, featured 106 golfers, the second biggest field of the year. The first was 112 players at an event in August, also at Cascata. It was a roller-coaster two rounds for Jack Trent. 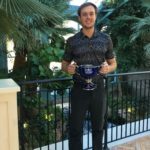 The UNLV sophomore posted 12 birdies and seven bogeys en route to a four-stroke victory. 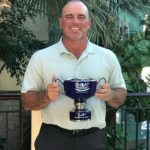 It was Trent’s second win in SNGA play as he won an event in the fall of 2017, also at Cascata. He said inconsistent play is also something he wants to address. 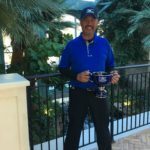 Gary Thompson rallied from nine shots back to win the Net Division by a stroke. 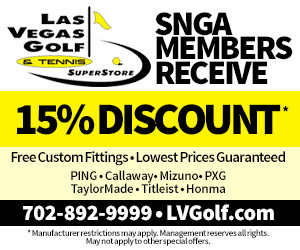 It was Thompson’s first SNGA win in his first event. What kind of learning experience? He added his goal was just to have fun. 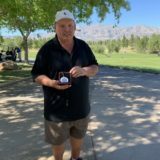 David Koch broke out of a three-way tie for the lead after the first day and cruised to a four-stroke victory in the Senior Division. Koch’s second-round 71 was the only round under par over the two days for the seniors and helped him win for the second time in 2018. It was also his 12th top-three finish of the year. 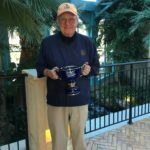 Gary Bilonta picked the perfect time to play in his first SNGA event of the year as he won the Senior Net title. But, there were some mis-steps he thought would cost him any chance to win. Frank Abbott overcame a slow start in the first round and cruised to a four-shot victory in the Silver Division. 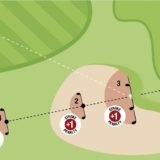 Abbott was five-over-par with seven holes left in his first round before putting a pair of birdies on the board to close out the round at +3 for a four-shot lead that held up through the second round. He said the second round was up-and-down…for everybody. Neil Driscoll used consistency to win the Silver Net title, ending the year with his second season-ending victory. 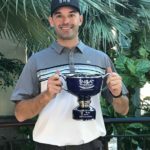 He also won the final event of the SNGA Tour season.